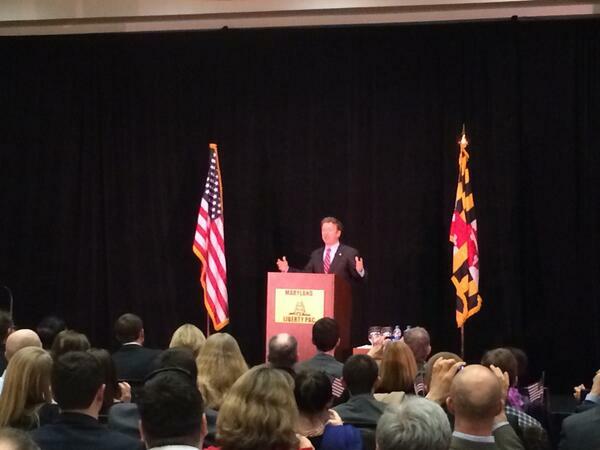 U.S. Sen. Rand Paul said the Republican party’s base isn’t big enough, especially in Maryland. But, he told a group of the state’s GOP candidates and donors Wednesday night, becoming “the Democrat Lite” party isn’t the answer. “If we want to win again, if we want to be a bigger party, we have to go to different people with a message of hope and optimism,” the junior GOP senator from Kentucky said at a fundraiser for the Maryland Liberty Political Action Committee at the BWI Westin in Linthicum. Part of the issue is the party’s image, Paul said. Republicans need to prioritize privacy and the Fourth Amendment, he said, along with their emphasis on balancing the federal budget. Paul pointed out that President Barack Obama won overwhelmingly with young voters, who were more concerned with the concrete challenges of student debt and jobs than a more abstract threat of a budget deficit. Those students, and every other demographic for that matter, care about privacy, he said, and if the GOP can become the “party of privacy” that will defend their rights, it could take back the White House. But focusing on Fourth Amendment rights against illegal search and seizure isn’t just important for phone records and privacy, Paul said. 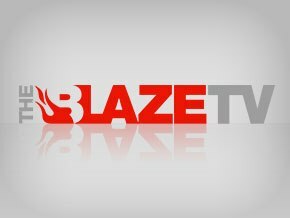 The war on drugs has been a failure, he said, and while roughly the same amount of black and white youths smoke pot, the black youths are more often imprisoned because of economic and racial disparities in the justice system. If the Republicans say, “We’ll defend your freedom,” he said, it would make the party more attractive for minorities that are now voting Democrat. Paul’s 20-minute speech touched on a broad spectrum of the GOP’s concerns, from Obamacare to Benghazi, prompting several rounds of applause from the roughly 300-person ballroom. Eugene Craig, 23, of Perry Hall, said he thought it was one of the best political speeches he’d ever heard. He and Iris Somberg, 26, of Washington said Paul made compelling points about how to expand the GOP. The privacy issue in particular struck a chord with them. “Young people don’t want the government — even their parents — to see their text messages,” Somberg said. Paul joked at the beginning of his speech that he recently spoke at University of California, Berkeley, and that Maryland was the only place more liberal. The donors in the room represented the state’s “remnant that’s left that’s going to save Maryland from herself,” he said. His central concern remains cutting federal spending. In the time he spoke, he said, the U.S. would borrow $25 million. Paul said of that money, $3 million was being spent on an advertisement in which Twiggy the water-skiing squirrel would hawk U.S. almonds abroad. Paul said he voted against it and was told by others that $3 million alone wouldn’t balance the budget. So Obama got the uninformed, greedy voters who don’t care about this country? We don’t need a bigger party, we just need smarter voters.